Are you debating about whether or not to hire a roofing contractor in the Madison, Wisconsin, area? While there are some homeowners who decide to take on roofing projects on their own, there are many reasons why hiring a roofing contractor is the wiser choice, and with an investment as important as a roof, you’ll want to make the most informed decision. Experience – Unless you work in the field, you don’t have as much knowledge about what the best roofing techniques are. Many roofers spend hours upon hours working with other contractors and perfecting their skills, and no amount of research or studying can parallel the experience they have acquired. Time – Fixing the roof on your home will take an immense amount of time, so depending on your schedule, it might be more convenient to let professionals come in and take care of the job for you. Safety – The process of fixing a roof can be incredibly dangerous, and many who’ve tried it have sustained traumatic injuries due to falling. 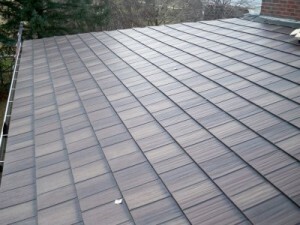 A professional roofer will have the knowledge to get the job done right as well as the necessary equipment for whatever challenges your roof may present. If you want to hire a Madison, WI, roofing contractor who will handle your project with skill and precision, turn to the professionals at ABC Seamless Home Specialists. We can save you time and painstaking work by providing the expertise that will lead to final results you’re sure to love. Contact ABC Seamless Home Specialists for additional information about hiring a contractor for your roofing project in the Madison, WI, area.